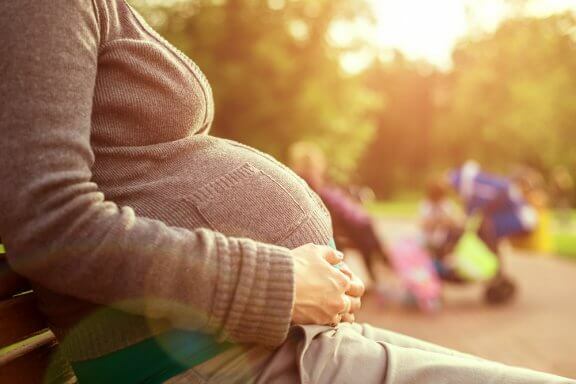 As more and more women wait until they finish university and gain financial stability before getting pregnant, in today’s article we’d like to discuss seven facts about pregnancy at an older age. Certain facts are well known, such as: after the age of 35 and as women get older, the difficulties of conceiving and the probability of complications during pregnancy and childbirth increase. A brief internet search is enough to find out the possible risks that a woman older than 35 can face during pregnancy. The risks include a higher incidence of cesarean. Twice the risk of prematurity and a 7% higher risk of gestational diabetes than the general population. All of these variables can be controlled if women who get pregnant at an older age go to their medical appointments responsibly. It is also important to perform all the medical tests that the specialist recommends. A healthy woman over 35 that gets pregnant doesn’t have any risks for her own health. This is according to gynaecologist Isabel Palencia. Supporting her theory, the specialist argues that women today take care of themselves a lot better than in the past. They can have a healthy pregnancy if well controlled by their gynaecologist. She explains that the rules which need to be respected are pretty much the same as those of a 25-year-old woman. The main exception is that the medical checkups are more thorough. Older women need to strictly follow the indication of their gynecologists. “Like in any pregnancy” there is no need to gain more than nine kilograms of weight. No smoking nor drinking alcohol. Even though you are healthy, it is important to know that health specialists classify pregnancy after the age of 35 as high-risk. This is because after this age there is an increased risk of maternal morbidity and mortality. This is why women should know the risk that their pregnancy implies. They should be attended by well trained professionals from multidisciplinary teams. By increasing their life expectancy these women will be able to take care of their children for many more years. Being informed about the advantages and disadvantages of getting pregnant after age 35 is the best guide you can have when it comes to planning the arrival of your child to the world. Even though there are no perfect formulas, doctors reiterate that the best age to get pregnant is still between 20-35. Our biological clock is something that we cannot slow down or change. This is an unescapable truth that more and more women face as they prefer to get organized and mature emotionally before giving birth. Every woman has the right and freedom to decide when to get pregnant. Here we provide 7 facts that show the benefits and downfalls of getting pregnant after 35. Women who wait longer to have their first child will live longer than those who start forming their families from a younger age. This is according to an American study. 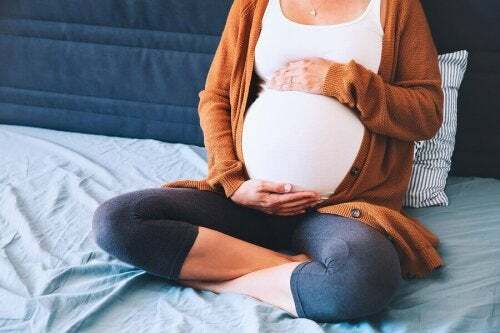 Although pregnancy at an older age increases the risk of miscarraige and congenital malformations, the study observed that women who got pregnant for the first time after age 25 are 11% more likely to reach age 90 in comparison to younger mothers. More mothers are getting pregnant after age 35 and their babies are healthy. In the US, between 1991 and 2001 the number of first-time pregnancies per 1,000 women from 35 to 39 years old has increased 36%. The rate among women 40–44 years old has experienced a 70% increase. Becoming a mother at an older age can improve your mental abilities. According to a recently published study in the American Geriatric Society Journal, becoming a mother after the age of 35 can improve a woman’s mental abilities. According to the study, women who have their first child at an older age obtain higher scores on mental acuity tests, problem resolution and verbal ability tests. Getting pregnant after the age of 35 increases the probability of having twins. Another fact about getting pregnant at older ages is that it increases the probability of having twins. No only through fertility therapy but also naturally. Getting pregnant after 35 significantly increases the risk of having a baby with some kind of congenital defect. The most common affectation that causes affectation of the chromosomes is Down Syndrome. This disease is caused by the child having one more chromosome than usual. Statistics show the following data: A 25-year-old woman has a 1 in 1,250 probability of having a baby with Down Syndrome; at 30 it becomes 1 in 1000; a 35-year-old has a 1 in 400 chance; at 40, 1 in 100; and at 45, 1 in 30. Birth for women older than 35 can be more difficult. Women who get pregnant at an older age have a higher risk of preeclampsia and eclampsia. The risk of preeclampsia and eclampsia is higher in women who have their first baby at an older age. The reasons for this are still not clear. 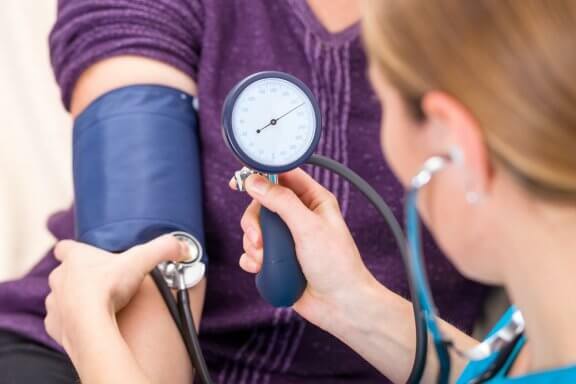 In some cases, it is a result of them having hypertension or diabetes before getting pregnant. Some considerations to take during pregnancy at an older age. Firstly, this has nothing to do with age. A woman who wants to get pregnant should be in the best possible state of health. This will help you enjoy the wonderful experience. Visit a doctor before getting pregnant. Before getting pregnant and in the first month of pregnancy take a daily multivitamin prescribed by your doctor. Those that contain 500 milligrams of folic acid are preferred because they help prevent neural tube defects. Food should be varied and nutritious. Especially goods that naturally contain folic acid: Oranges, legumes, cereals and vegetables.